When the Great Ko’Ko lost his most precious feather, he was turned into a wooden statue on top of the sacred tree. Help Ko'Ko get his feather back, and restore balance in the Ancient Forest! Ko'Ko's Curse teaches kids about environment through a nice AR tale, featuring iconic actor and activist Peter Coyote as the narrator. A special version of the app was made for Microsoft's MR headset HoloLens and presented at the 2017 Geneva International Film Festival (GIFF). Octator is a fun and absurd ‘political speech training simulator’. 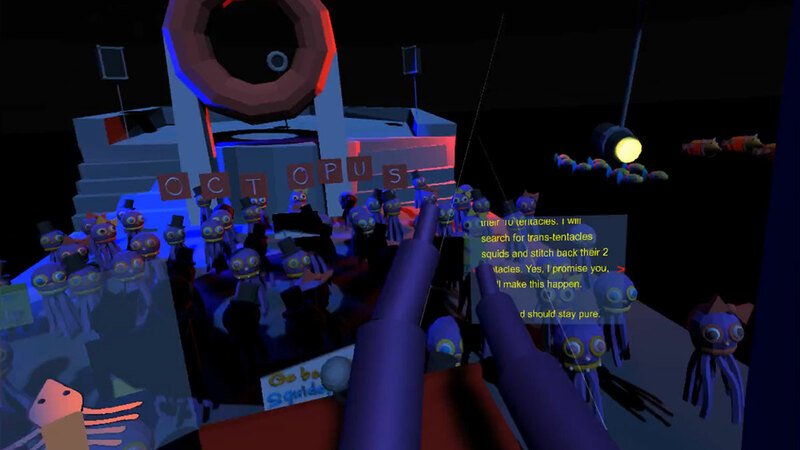 As an influent Octopus, convince your compatriots the vile squids must be banished from Octopulus! Designed and built in only five days by four students (with mostly Blocks and SpatialStories), Octator uses a gestures recognition system, and records the user's speech in real time and plays it back in the scene's loud speakers. © 2017 apelab. Platform: Samsung Gear VR. Gear VR Controller required. Break a Leg is a VR adventure about magic, entirely created with apelab’s SpatialStories toolkit. The game was released exclusively on Samsung Gear VR October 30th, 2017. In 2017, the City of Geneva launched a competition for ideas regarding the redevelopment of La Rade, Geneva City waterfront. An mobile AR application was made to showcase the winning projects of the competition, allowing users to project themselves on location using their smartphones. Freely adapted from the stop-motion animated movie My Life as a Zucchini, Watchout! is a mobile VR game in which the player must manage a group of excited puppets and prevent them from destroying their surroundings! By inserting your device into a Cardboard viewer you are transported on the set, at the puppets and accessories scale. No cardboard? No problem, the game also works without one. Neil doesn't remember who he is or what he is doing on this strange alien planet. As a player, you must help the astronaut recover the fragments of his memories and ultimately fly back home. 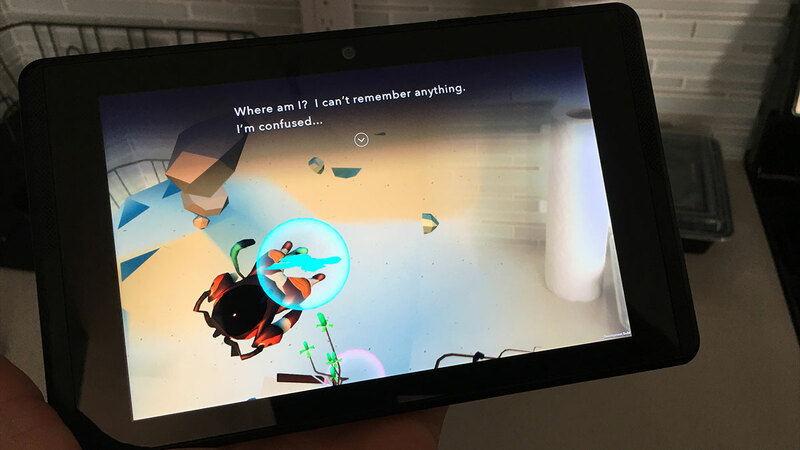 Mnemonic is an AR exploration puzzle game for Google's Project Tango. Using the tablet's capabilities, the player generates a unique virtual landscape on top of his environment for every playthrough. Then he guides his character to hidden memory fragments he must assemble to complete the level. In a world where there is only one city left on Earth, recons are sent out to find lost populations. Sam, one such recon, meets Raven, a 13 year-old orphan who’s grown up in nature and whose DNA predestins her to become humanity’s Guardian. Entirely hand-drawn, Sequenced is the first interactive story on 360° for VR. The plot adapts in real time to the user’s focus, making the characters and environment react differently with each playthrough.